Your next clinical biomarker will be assayed by mass spectrometry....or not! Your next clinical biomarker will be assayed by mass spectrometry….or not! Over the past five years, biomarker measurement by quantitative mass spectrometry (MS) has achieved measurement precision that may rival or even surpass classical immune-affinity-based assays in clinical chemistry, haematology or microbiology laboratories. The specificity of quantitative mass spectrometry relies on the direct measurement of the analyte of interest, which can be characterised and quantified against an internal standard within the biomarker’s biological context. However, the translation of a biomarker identified from a discovery proteomics study to a clinical assay suitable for routine use remains arduous and is akin to converting a western blot signal into a well-performing enzyme-linked immunosorbent assay (ELISA) assay. Despite these difficulties, MS-based laboratory-developed tests have been developed for various protein analytes and, with the regulatory agencies introducing guidelines to improve the likelihood of those assays to be acceptable in clinical settings, it is likely that these tests will become more common in the future. This article will focus on some of the critical aspects of transition biomarkers discovered in classical (MS-based) proteomics workflows and on the challenges to be met before validated assays can become more routine in the clinical laboratory. The likelihood of MS-based biomarkers being considered as candidates for clinical assays depends strongly on the methodology and the criteria that have been used for discovery. Differential proteomics experiments are typically performed using extreme phenotypes to maximise the probability of identifying modulated proteins in a hypothesis-free paradigm. However, the sample preparation and fractionation methods required to monitor an adequate number (3-10,000) of proteins restrict the number of biological replicates and conditions that can be effectively analysed. This limits the statistical power that can be achieved and, as a consequence, even well-designed proteomics experiments generate large lists of candidate biomarkers that need to be further verified before engaging in costly assay development. Until recently, follow-up studies would have been conducted exclusively using antibody-based assays such as Western Blotting, ELISA or immunohistochemistry, and more rarely using fluorescence-activated cell sorting (FACS). However, the scarcity of selective antibodies, especially if the discovery phase was conducted in pre-clinical models, and the cost of running a large number of assays in parallel constrain the systematic confirmation of biomarkers of interest to the most obvious (but not necessarily the most interesting) candidates. Targeted mass spectrometric approaches, such as Selected Reaction Monitoring (SRM), have gained in popularity due to their large dynamic range, their enhanced sensitivity, and their inherent multiplexing capabilities, but mostly due their independence of antibodies for target detection3. Furthermore, such approaches take advantage of the pre-existing mass spectrometric information gained during the discovery phase to speed up assay development, ensuring a high success rate when transferring the assay to a targeted MS approach. Development of SRM assays has become relatively straight forward as it relies on the same bioinformatics modalities as for discovery proteomics. 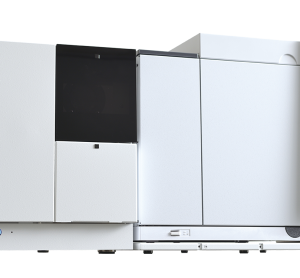 Also, the use of dedicated software packages such as Skyline4 has streamlined the initial efforts to produce prototype mass spectrometric assays. A protein of interest is first digested in silico to generate a panel of candidate peptides suitable for monitoring in the assay. Typically, only peptides with no miscleavage, whose amino acid sequence is unique for the protein (so-called proteotypic peptides), and that do not contain oxidisable amino acids (for example methionine), are selected. The pre-existing mass spectrometric information can also be exploited to further restrict the selection to those species that were detected at high sensitivity in a discovery project. The sensitivity and selectivity of targeted MS methods relies on the mass spectrometer isolating the peptide of interest and surveying the appearance of reporter ions upon fragmentation. Thus, the first step of assay development most often starts with the spiking of synthetic versions of the peptides of interest in an appropriate background matrix and the testing of chromatographic and fragmentation conditions to maximise specific detection. Quantitative information is inferred through the co-spiking of so-called heavy internal standards, which represent peptides with the same amino acid sequence as the ones assayed but containing stable isotopes (13C and 15N) for differentiating them by mass spectrometry. From an assay point of view, these “heavy”-labelled behave identically to their “light” counterparts, thus enabling recovery calculation and precise quantitation. Accordingly, the generation of a prototype SRM assay panel consists of iteratively combining all peptides of interest (and their internal standards) in one chromatographic run and generating, for each of them, a lower limit of detection threshold and a calibration curve for testing in the targeted biological context. Interestingly, the low costs (approximately $10-15/peptide for crude synthesis; about $100-500 /peptide for purified, quantitated standards) and inherent speed of developing multiplexed targeted MS assays (two-to-three months) have encouraged researchers to widen their selection criteria to include literature-based or pathway-based biomarkers to complement the biological information that was gained in the initial discovery phase. It is also possible to customise SRM assays to include the detection and quantitation of post-translational modified species (for example, to follow a phosphorylation time course) on the condition that such events remain stable during the experimental time frame and do not decay in the mass spectrometer. However, in the absence of any prior (mass spectrometric) evidence of the markers of interest in the selected (or in any other biological) sample, success rate remains highly dependent on the target’s natural abundance within a sample’s dynamic range. All MS-based approaches are limited by sample load and detection is limited to about four to five log unit dynamic range. Thus, in the absence of an enrichment method, it is unlikely to be able to detect and quantitate markers below the ng/mL abundance range in plasma. Similarly, quantitative discrimination of a rare post-translational modified species within a complex pool of peptides remains a challenging task. Given the apparent ease with which one can build an assay and validate it into the biological matrix of choice, it might come as a surprise that there are currently very few in vitro diagnostic (IVD) assays based on proteomics markers. The most established example is possibly the biotyping of microbes and yeast strains using Matrix-Assisted Laser Desorption Ionization (MALDI) MS (Vitek MS, BioMérieux5, and Biotyper, Bruker6, both IVD-cleared by the Food and Drug Administration (FDA) in 2013. In this assay, which is not SRM-based and where not all analytes are proteins, microbial organisms and other pathogens are identified and classified using molecular fingerprinting against reference libraries. Compared to classical methods (usually, a combination of cell cultures, biochemical tests, 16S RNA sequencing and microscopy), this assay enables diagnosis of infectious diseases in a significantly reduced amount of time. This offers the possibility of early treatment with improved outcome, resulting in considerable savings both in laboratory and in hospitalisation costs. A more classical SRM-based assay, which is offered commercially (but not as an IVD test) by Arup laboratories and Quest Diagnostics, reports the levels of thyroglobulin in serum7. After full tryptic digestion, three thyroglobulin peptides are immune-captured using polyclonal antibodies and quantified using SRM against external calibrators. The development of this assay was primarily driven by the need to overcome problems of the immunoassay with heterophilic interfering antibodies and autoantibodies. The SRM-based assay has been demonstrated to quantitate thyroglobulin at picomolar concentrations. In addition, many hospitals and laboratories have developed their own laboratory developed tests (LDTs) to serve their in-house pathology and diagnostic purposes. In contrast to IVD tests, which are marketed by medical device companies, LDTs are not per se subjected to the approval of regulatory agencies as they are intended to be used only for a specific laboratory entity, which is responsible for creating the necessary reagents and for developing and validating their proprietary tests. However, as LDTs are becoming increasingly more complex and being used by commercial entities to assess more common diseases or conditions, with a more pivotal role in medical decision-making, there are concerns that some of them might have an insufficient level of validation for their intended use. As of matter of fact, the FDA recently announced its plan to regulate more stringently LDTs as it “has identified problems with several high-risk LDTs including: claims that are not adequately supported with evidence; lack of appropriate controls yielding erroneous results; and falsification of data”8. A representative example of the hurdles that challenge the introduction of proteomics-based assays in the clinical laboratory world was the premature announcement in 2002 of a SELDI-TOF (a variant of a MALDI MS instrument) profile-based proteomic pattern to recognise ovarian cancer from serum with high sensitivity and specificity9. After initial enthusiasm for the assay and development of the approach for other therapeutic areas, subsequent examination revealed that random collections of peaks from these data replicated the reported signature, suggesting that cohort differences could be almost entirely explained by batch effects10. 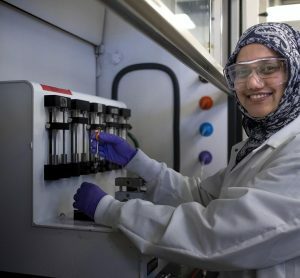 A follow-up study using a more controlled design of experiment and a superior mass spectrometric platform eventually identified in a five-cohort study three of the five markers11 that were finally selected to build the immune-based, FDA-cleared IVD OVA1 test marketed by Vermillion in 200912. However, the lack of technological reproducibility demonstrated in the 2002 study contributed to the fuelling of skepticism on the part of regulatory agencies as to whether proteomics could deliver clinically meaningful results. As a result, in 2006, the National Cancer Institute launched the Clinical Proteomic Technology Assessment for Cancer (CPTAC) as an effort to audit the capabilities of these methods and as a guide to further funding. Some years later, the CPTAC organisation and the Human Proteomics Organization (HUPO) have contributed to a more balanced opinion of what proteomics can deliver to the clinic. 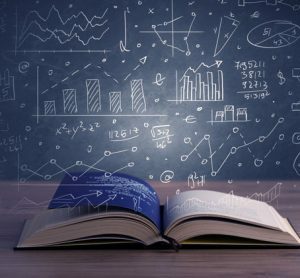 Several white papers and reference publications13-17 have been published in leading clinical and proteomics journals to assist proteomics researchers in harmonising their studies with respect to experimental design and statistical analysis as well as to foster data sharing within the community. In particular, earlier this year the CPTAC released precise guidelines on developing quantitative MS-based assays and the level of scrutiny and precision that is required to bring tests forward to the clinical laboratory17. Also, the CPTAC has developed open-access regulatory science pre-submission documents with the FDA on how to validate multiplex proteomic assays (so-called mock 510k submission18). The intent is to create a bridge and to foster communication between both the proteomics community and the regulatory agencies to find common grounds on analytical validation requirements18,19. As we have seen, the past five years have demonstrated an improvement in the quality of biomarker discovery projects using proteomics approaches, and in particular MS-based methods. This is due to a combination of better instrumentation, refined designs of experiment, enhanced bioinformatics tools and sequence databases and a more systematic use of quantification schemes. In this respect, the role of CPTAC and HUPO has been significant to disseminate “Good Proteomics Practice”, by requesting that discovery proteomics studies should meet minimal criteria of repeatability and quality control for publication purposes and by facilitating data sharing between researchers. Overall, this has resulted in more reliable and significant results and, potentially, in an increased number of candidate biomarkers that could be further investigated in clinical practice. Yet the vast majority of those candidate biomarkers, even those that were specifically investigated for this purpose, has not reached clinical use. Some of the stated reasons include the lack of an effective technology platform to verify them in well-designed clinical sample sets and the absence of a generally accepted biomarker development pipeline (akin to the drug development pipeline) to mature candidates to accepted clinical biomarkers16,20,21. However, the typical business model of the major IVD-providers and the regulatory burdens to register novel IVD tests also clearly limit the attractiveness of MS-based biomarkers, mostly due to the fact that IVD tests consist not only of an assay, but also of the combination of the device and software packages on which the assay is being measured, all reagents that ensure repeatability of the assay, and validation standards that guarantee the validity of the assay within its intended use22. 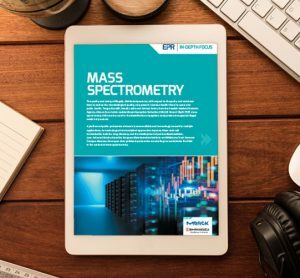 In particular, mass spectrometers, while being regulated by the FDA as class I or II devices depending on the complexity of the intended measurement, have eluded the typical market of IVD-providers due to their sustained (costly) technological development. Despite these difficulties, there is a clear demand for developing novel clinical biomarkers for a range of serious medical conditions, and the current rate of approximately one-to-two protein analytes being introduced per year does not cover current needs. The situation is reflected in the exploding number of LDTs being developed and used at hospitals and laboratories around the world in the absence of tests approved by regulatory agencies. In this context, due to the nature of the MS-derived protein biomarker, the same technology platforms used in MS-based discovery proteomics are poised to be used increasingly in the clinical laboratory, thus in part reducing the costs and time needed to translate those protein assays to immunoassays for IVD use21. Also, the inherent multiplex nature of SRM-based methods enables the monitoring of more than one analyte per sample and to survey (if medically appropriate) multiple isoforms of the same protein, a difficult task for antibody-based assays. While the concept of biomarker panel used to be problematic with regards to regulatory authorities, mostly because of the difficulty to translate multiple measurements using an interpretation function to generate a single result, the FDA recently introduced a new test classification termed ‘In Vitro Diagnostic Multivariate Index Assay’ to assist proteomics researchers to improve the success of clearing such assays23. It is therefore likely that, in the near future, an increasing number of markers will be measured in the clinical laboratory using MS-based methods, most likely with an increased oversight from regulatory agencies. Clearly, there are still many obstacles before the path to convert research-grade biomarkers to clinical assays can be considered as standardised. In particular, in a peptide-driven SRM workflow, the proteolytic step in which the assayed peptides are generated from a target protein is being critically scrutinised as there is at this time no consensus on when to introduce internal standards to correct for sample preparation variability16. This is a concern for an emerging application of targeted MS for the quantitative measurement of biomarkers in formalin-fixed, paraffin embedded (FFPE) tissue as the proteins are fixed in the sample at the time of collection, which can be up to several years before the analysis is performed24. 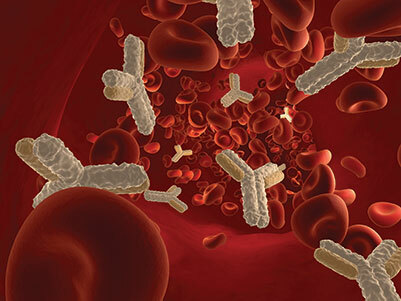 Also, while MS-based assays will have a larger share of a clinical laboratory’s platform offering, antibody-based assays will remain an important workhorse in the diagnostic business mostly due to their incomparable sensitivity and ease-of-use. The use of polyclonal antibodies to capture and enrich peptides (especially from biological fluids such as plasma) prior to their measurement in the mass spectrometer effectively increases the dynamic range and the overall sensitivity of an MS-based assay, at the cost of a more complex workflow and potentially increased variability25. In conclusion, whether the next clinical biomarker will be assayed using an MS-based approach or not will in the future depend mostly on the medical need and intended use rather than on the availability of a specific technological platform. MS-based methods are being introduced in the clinical laboratory landscape and, eventually, the globally increased number of available assays will benefit patients and their physicians in need of accurate, robust and specific assays to guide their medical decisions. (1) Jimenez, C. R., Verheul, H. M. W., Mass spectrometry-based proteomics: from cancer biology to protein biomarkers, drug targets, and clinical applications. Am Soc Clin Oncol Educ Book, e504-510 (2014). (2) Paulo, J. A., Kadiyala, V., Banks, P. A., Steen, H., Conwell, D. L., Mass spectrometry-based proteomics for translational research: a technical overview. Yale J. Biol. Med. 85, 59-73 (2012). (3) Picotti, P., Aebersold, R., Selected reaction monitoring-based proteomics: workflows, potential, pitfalls and future directions. Nat Methods 9, 555-566 (2012). (4) MacLean, B., Tomazela, D. M., Shulman, N., Chambers, M., Finney, G. L., Frewen, B., Kern, R., Tabb, D. L., Liebler, D. C., MacCoss, M. J., Skyline: an open source document editor for creating and analyzing targeted proteomics experiments. Bioinformatics 26, 966-968 (2010). (5) http://www.biomerieux-diagnostics.com/vitek-ms, retrieved on October 28, 2014. (6) http://www.bruker.com/products/mass-spectrometry-and-separations/maldi-biotyper/overview.html, retrieved on October 28, 2014. (7) Hoofnagle, A. N., Becker, J. O., Wener, M. H., Heinecke, J. W., Quantification of thyroglobulin, a low-abundance serum protein, by immunoaffinity peptide enrichment and tandem mass spectrometry. Clin Chem 54, 1796-1804 (2008). (8) http://www.fda.gov/medicaldevices/productsandmedicalprocedures/invitrodiagnostics/ucm407296.htm, retrieved on October 28, 2014. (9) Petricoin, E. F., Ardekani, A. M., Hitt, B. A., Levine, P. J., Fusaro, V. A., Steinberg, S. M., Mills, G. B., Simone, C., Fishman, D. A., Kohn, E. C., Liotta, L. A., Use of proteomic patterns in serum to identify ovarian cancer. Lancet 359, 572-577 (2002). (10) Baggerly, K. A., Morris, J. S., Edmonson, S. R., Coombes, K. R., Signal in noise: evaluating reported reproducibility of serum proteomic tests for ovarian cancer. J Natl Cancer Inst 97, 307-309 (2005). (11) Zhang, Z., Bast, R. C., Jr., Yu, Y., Li, J., Sokoll, L. J., Rai, A. J., Rosenzweig, J. M., Cameron, B., Wang, Y. Y., Meng, X.-Y., Berchuck, A., Van Haaften-Day, C., Hacker, N. F., de Bruijn, H. W. A., van der Zee, A. G. J., Jacobs, I. J., Fung, E. T., Chan, D. W., Three biomarkers identified from serum proteomic analysis for the detection of early stage ovarian cancer. Cancer Res 64, 5882-5890 (2004). (12) http://www.ova-1.com/, retrieved on October 28, 2014. (13) Addona, T. A., Abbatiello, S. E., Schilling, B., Skates, S. J., Mani, D. R., Bunk, D. M., Spiegelman, C. H., Zimmerman, L. J., Ham, A.-J. L., Keshishian, H., Hall, S. C., Allen, S., Blackman, R. K., Borchers, C. H., Buck, C., Cardasis, H. L., Cusack, M. P., Dodder, N. G., Gibson, B. W., Held, J. M., Hiltke, T., Jackson, A., Johansen, E. B., Kinsinger, C. R., Li, J., Mesri, M., Neubert, T. A., Niles, R. K., Pulsipher, T. C., Ransohoff, D., Rodriguez, H., Rudnick, P. A., Smith, D., Tabb, D. L., Tegeler, T. J., Variyath, A. M., Vega-Montoto, L. J., Wahlander, A., Waldemarson, S., Wang, M., Whiteaker, J. R., Zhao, L., Anderson, N. L., Fisher, S. J., Liebler, D. C., Paulovich, A. G., Regnier, F. E., Tempst, P., Carr, S. A., Multi-site assessment of the precision and reproducibility of multiple reaction monitoring-based measurements of proteins in plasma. Nat Biotechnol 27, 633-641 (2009). (14) Rodriguez, H., Snyder, M., Uhlen, M., Andrews, P., Beavis, R., Borchers, C., Chalkley, R. J., Cho, S. Y., Cottingham, K., Dunn, M., Dylag, T., Edgar, R., Hare, P., Heck, A. J. R., Hirsch, R. F., Kennedy, K., Kolar, P., Kraus, H.-J., Mallick, P., Nesvizhskii, A., Ping, P., Ponten, F., Yang, L., Yates, J. R., Stein, S. E., Hermjakob, H., Kinsinger, C. R., Apweiler, R., Recommendations from the 2008 International Summit on Proteomics Data Release and Sharing Policy: the Amsterdam principles. J Proteome Res 8, 3689-3692 (2009). (15) http://www.mcponline.org.libproxy.mit.edu/site/misc/PhialdelphiaGuidelinesFINALDRAFT.pdf, retrieved on October 28, 2014. (16) Tabb, D. L., Quality assessment for clinical proteomics. Clin Biochem 46, 411-420 (2013). (17) Carr, S. A., Abbatiello, S. E., Ackermann, B. L., Borchers, C., Domon, B., Deutsch, E. W., Grant, R. P., Hoofnagle, A. N., Huttenhain, R., Koomen, J. M., Liebler, D. C., Liu, T., MacLean, B., Mani, D. R., Mansfield, E., Neubert, H., Paulovich, A. G., Reiter, L., Vitek, O., Aebersold, R., Anderson, L., Bethem, R., Blonder, J., Boja, E., Botelho, J., Boyne, M., Bradshaw, R. A., Burlingame, A. L., Chan, D., Keshishian, H., Kuhn, E., Kinsinger, C., Lee, J. S. H., Lee, S.-W., Moritz, R., Oses-Prieto, J., Rifai, N., Ritchie, J., Rodriguez, H., Srinivas, P. R., Townsend, R. R., Van Eyk, J., Whiteley, G., Wiita, A., Weintraub, S., Targeted peptide measurements in biology and medicine: best practices for mass spectrometry-based assay development using a fit-for-purpose approach. Mol Cell Proteomics 13, 907-917 (2014). (18) Boja, E. S., Fehniger, T. E., Baker, M. S., Marko-Varga, G., Rodriguez, H., Analytical Validation Considerations of Multiplex Mass Spectrometry-based Proteomic Platforms for Measuring Protein Biomarkers. J. Proteome Res., DOI: 10.1021/pr500753r (2014). (19) Boja, E. S., Rodriguez, H., The path to clinical proteomics research: integration of proteomics, genomics, clinical laboratory and regulatory science. Korean J Lab Med 31, 61-71 (2011). (20) Anderson, N. L., The clinical plasma proteome: a survey of clinical assays for proteins in plasma and serum. Clin Chem 56, 177-185 (2010). (21) Lehmann, S., Hoofnagle, A., Hochstrasser, D., Brede, C., Glueckmann, M., Cocho, J. A., Ceglarek, U., Lenz, C., Vialaret, J., Scherl, A., Hirtz, C., Proteomics, I. W. G. o. C. Q. M. S., Quantitative Clinical Chemistry Proteomics (qCCP) using mass spectrometry: general characteristics and application. Clin Chem Lab Med 51, 919-935 (2013). (22) Li, J., Kelm, K. B., Tezak, Z., Regulatory perspective on translating proteomic biomarkers to clinical diagnostics. J Proteomics 74, 2682-2690 (2011). (23) http://www.fda.gov/downloads/MedicalDevices/DeviceRegulationandGuidance/GuidanceDocuments/ucm071455.pdf, retrieved on October 28, 2014. (24) Steiner, C., Ducret, A., Tille, J.-C., Thomas, M., McKee, T. A., Rubbia-Brandt, L., Scherl, A., Lescuyer, P., Cutler, P., Applications of mass spectrometry for quantitative protein analysis in formalin-fixed paraffin-embedded tissues. Proteomics 14, 441-451 (2014). (25) Krastins, B., Prakash, A., Sarracino, D. A., Nedelkov, D., Niederkofler, E. E., Kiernan, U. A., Nelson, R., Vogelsang, M. S., Vadali, G., Garces, A., Sutton, J. N., Peterman, S., Byram, G., Darbouret, B., Perusse, J. R., Seidah, N. G., Coulombe, B., Gobom, J., Portelius, E., Pannee, J., Blennow, K., Kulasingam, V., Couchman, L., Moniz, C., Lopez, M. F., Rapid development of sensitive, high-throughput, quantitative and highly selective mass spectrometric targeted immunoassays for clinically important proteins in human plasma and serum. Clin Biochem 46, 399-410 (2013). Axel Ducret is a protein biochemist by training, who has been using mass spectrometry for the characterisation and quantification of proteins in complex mixtures. Throughout his career, first at Merck Frosst in Montreal (Canada), then at F. Hoffmann-La Roche in Basel (Switzerland), he has applied increasingly more complex proteomics strategies for the discovery and validation of biomarkers in tissue, biological fluids, or other complex biological systems. One of his current field of interest is the accurate and specific quantification of proteins from formalin-fixed, paraffin-embedded tissue as an untapped sample collection for retrospective biomarker discovery and validation, and more generally the use of targeted mass spectrometric strategies as a bridging technology between discovery and early development in clinical samples.